A beautiful combination constructed with some of the finest East African coffees and Blue Mountain. Such coffees are highly demanded and sought-after, they continue to fascinate coffee lovers around the world. 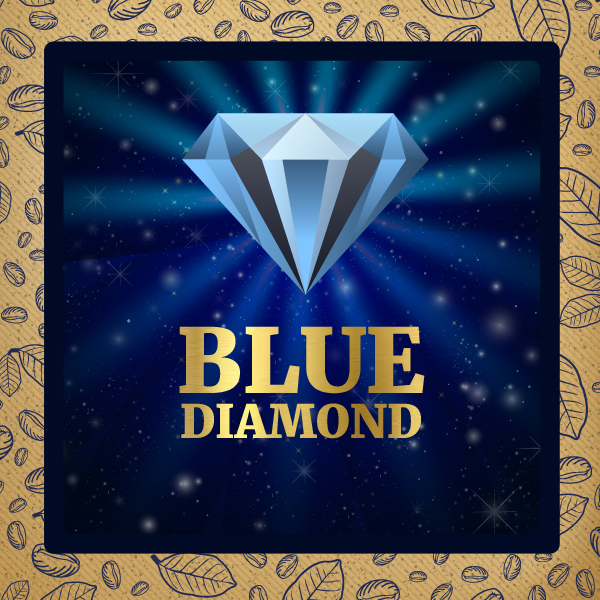 Blue Diamond has a good body, rich and complex flavors with fruity and floral hints. With unparalleled taste, this blend is like none other, truly exceptional. We recommend a medium roast. Cupping Notes: Complex cup, smooth body and citric acidity with nutty tobacco flavor, floral notes and fruity hints.